If you are shopping for quality air conditioning replacement services in San Antonio, TX, you have come to the right place. We offer a wide variety of air conditioning systems and can easily replace your older model with a new more effecient money saving model. Our air conditioning replacement technicians are waiting for your call. They are polite, professional and highly skilled. Whether you know that your current system is on its last legs or you’re just curious about what’s out there, our expert staff will be happy to answer any questions and assist you towards a decision. 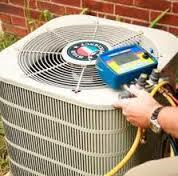 There are several situations in which replacing your air conditioning system would make sense. Are some parts of your home are being cooled more than others? This type of inconsistency is a good sign that there’s something wrong with your current system. And since you’re likely to get a much more energy efficient model as a replacement, you’re generally better off replacing the system entirely rather than paying for what may be costly repairs. Is your system is more than ten years old? If the answer is yes, it’s guaranteed to be substantially less efficient than the current models. This may not seem like a big deal, particularly when you’re contemplating the cost of installation. However, when you really see what kinds of savings are possible with a newer model, you’ll begin to see the benefits. When you choose to replace your air conditioning system now, you’ll begin saving immediately on your monthly energy bills. That savings will add up fast, more than making up for the cost of air conditioning system replacement services. Do you have higher than normal humidity? This is a sign that your current air conditioning system isn’t working right. It could also mean that the system you have is not up to the task of cooling your entire house. If this is the case, you’re going to need to upgrade in order to take care of the problem. Are you energy bills taking a bigger portion of your wallet every month? Then it’s likely that an improperly functioning air conditioning system is the cause. The increased activity and energy usage is a sign that the entire system is under a greater strain than it should be. Replacing it now rather than waiting until it gives out entirely will both save you money and keep you from having to deal with the hassle of having a broken air conditioning system on your hands in the middle of summer. Our objective is to continue to satisfy TX customers. Give us a call today to let us know what we can do for you.